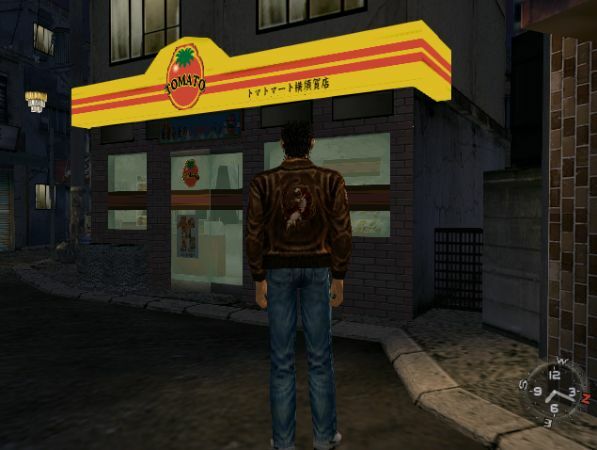 Ryo spies the shelf with boxes labelled "Shenmue Caramels". A single box conveniently sits apart from the rest at the front, so he chooses it and takes it to the clerk at the counter where the following exchange takes place. Minako: Ryo. May I help you? and listen to the Tomato Store theme for a while? 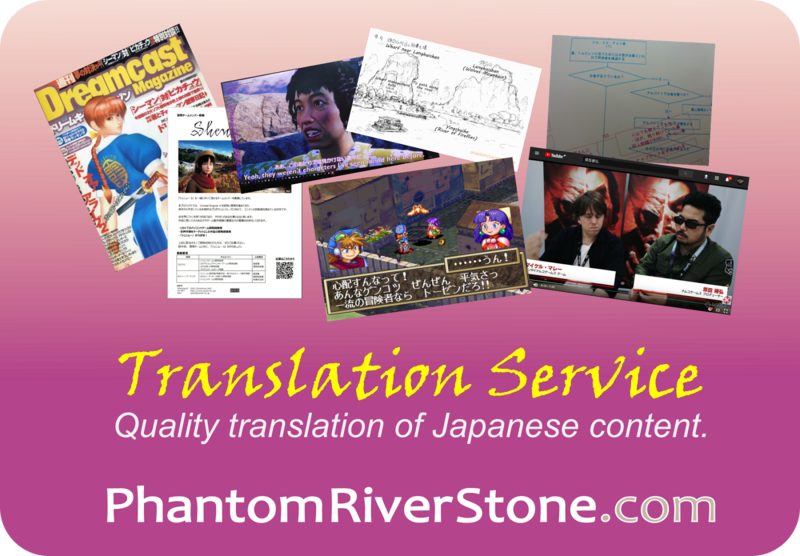 A lot can be explained by comparing what Ryo says in the Japanese version of the game. Predictably, "This" is also exactly what Ryo says there - so it's a seemingly straight-forward one-for-one translation. However, in the Japanese language a single word or two will often suffice where the rest of the sentence is implied - much more so than when speaking in English. This is particularly common in a situation where the speaker doesn't feel the need to be overly polite, such as being a customer, or talking with someone like a friend. It's more of a male speech pattern than female. So for the case above, in Japanese it is sufficient for Ryo to make this simple utterance when buying something. But with the English version, it sounds a bit... not rude exactly, but abrupt, or incomplete. I think that adding an extra word or two to the English version - "This, please." or "I'll take this." - would sound smoother to an English-speaker's ears. Though even a single word is quite talkative for Ryo. This was just a small example but I hope it gives a little insight into how translation between languages can bring subtle challenges. 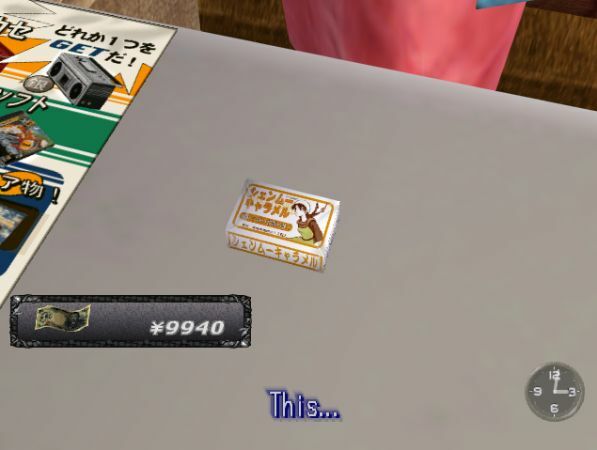 In a future post, I want to stay with the convenience store scenario to cover one of the most well-remembered phrases encountered in the game (hint: it concerns losing a raffle and "merchandise"). 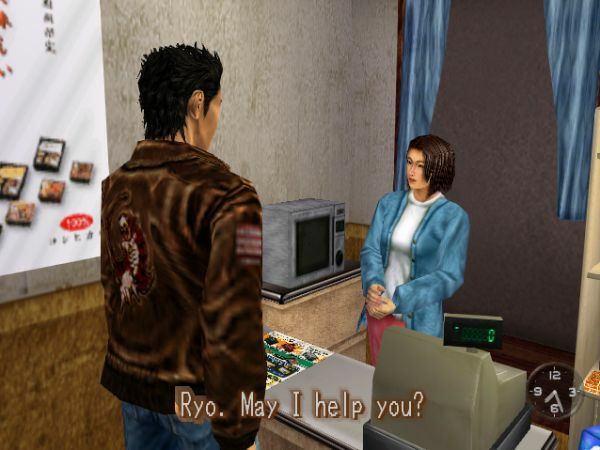 What are your favorite "slightly awkward" English phrases or quotes from Shenmue (either game)? Share them in the comments! It's a classic exchange, isn't it. 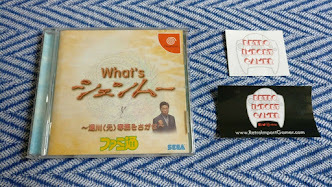 Although it makes perfect sense in the original Japanese! Did the same thing occurred when getting no prize with the tomato store in the harbour? been a while so i don't remember if the same was said. Good point, I checked and at the harbor store Ryo says "I'll take this" when handing over the item to buy, and the response to his losing ticket is "Try again another time". Haha, he's the original ice statue! 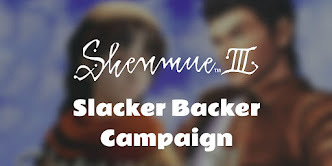 But perhaps Shenhua be able to thaw him out in Shenmue III?